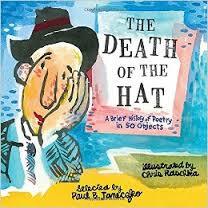 The Death of the Hat is the 4th collaborative anthology by Paul B. Janeczko and Chris Raschka. 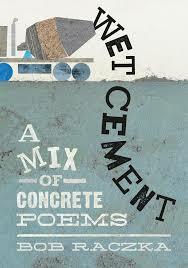 The book’s title comes from the Billy Collins poem within, which is one of the poems in the final chapter “Contemporary”. For this is a collection of poetry spanning 2000 years. In fact, the full title of the book is The Death of the Hat: A Brief History of Poetry in 50 Objects. All of the poems focus on objects, earthly and celestial. Chris Raschka’s light watercolors give each of them life and help us see what lies beneath the surface of the poets’ words. The poems come from Rumi, Emily Dickinson, William Wordsworth, Pablo Neruda, Edna St. Vincent Millay, and others less well-known in the West like Cui Tu, Bai Juyi and Basho. 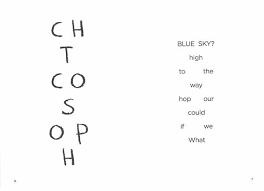 Although these poems were not written for children, they are a great way to expose children to the “canon” of poetry. The book would be useful in any classroom. Kids could write about an object, or create a history of themselves through objects, whether in poetry or in prose. However you decide to use it, this is an excellent tool for the classroom. 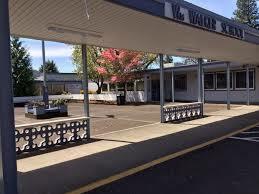 Today is the last day of school for kids. Teachers have to go back on Monday, but, this is really the last day. Today the building will be full of noise and excitement. Tomorrow, and for the next two and a half months, it will be mostly quiet and empty. We have an assembly at 9, where awards will be given out. Before we go, I will give my ids my gift to them. It is a tradition I had when I last taught fourth grade and I revived it this year. I have written an alphabet book for the class entitled , F is for Fourth Grade. The kids always think it will be their names in alphabetical order, but it isn’t. Each letter describes a personal quality, then I say which kid best described that quality. Having only 23 kids this year, I had a few letters left over, so I gave them some advice. Here are the first and last pages of my A to Z book. Articulate means “using language easily and fluidly”. Vincent is an articulate student. He thinks before he speaks and uses interesting words in his sentences. Vincent has a good vocabulary. A zealous person is eager and passionate about something. Endeavour to be a zealous student and friend. Give 100% to all you do. Be eager about your learning and faithful in your friendships. 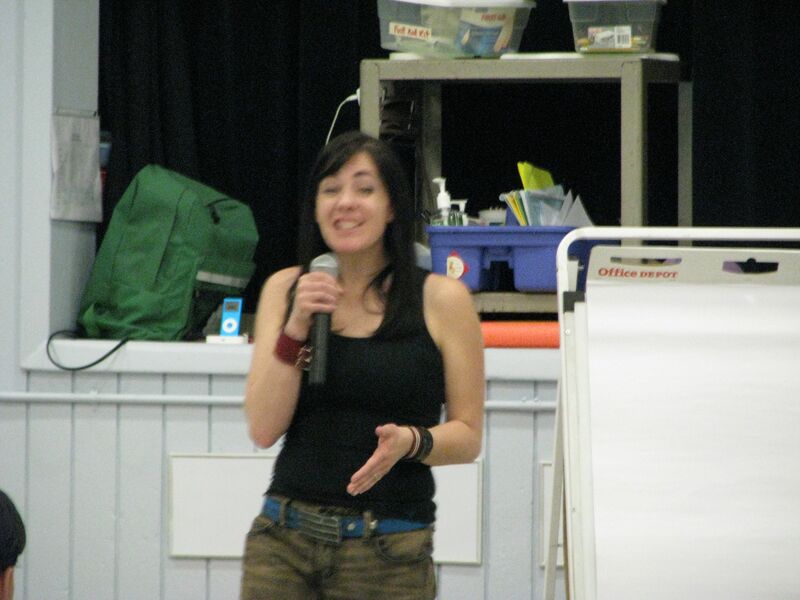 Friday Maggie Stiefvater and Jackson Pearce came to William Walker as part of their promotional tour of their middle grade novel Pip Bartlett’s Guide to Magical Creatures. My class has really been into magical creatures this year. One boy draws and writes stories about dragons and many other students have created comics with characters who have special powers, like Fry Guy, a french fry who encounters, then, solves problems. Although they haven’t read this book yet (it will be our next read aloud) I knew they’d be interested once they got to the assembly, so we brainstormed good questions to ask before we went to the assembly. 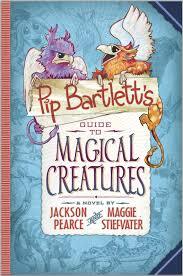 Once we were there, Maggie and Jackson did not disappoint. They presented a lovely contrast, one dark, one fair; one looking at the bright side, one looking at the dark side.They had clearly practiced their presentation, which was fast-paced and engaging. 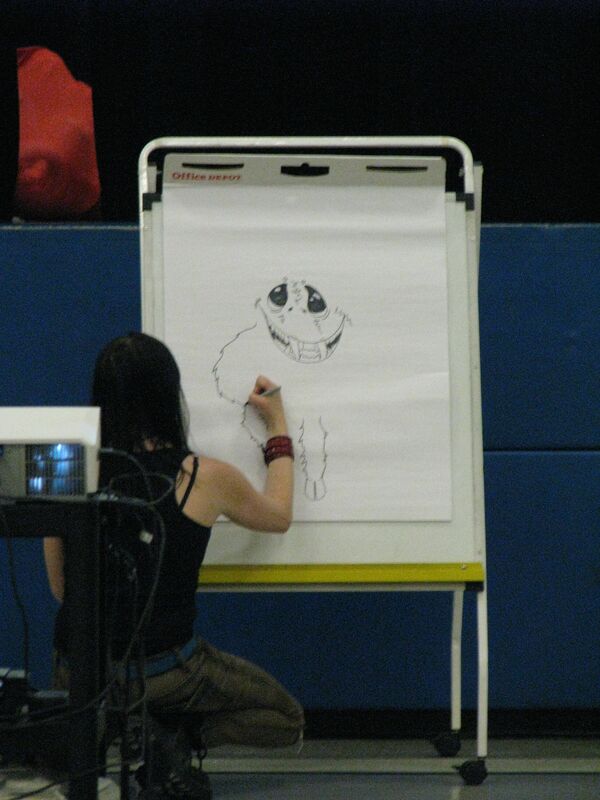 Although they mentioned their book, they spent much of the hour-long presentation talking to the kids about how to create a magical beast. 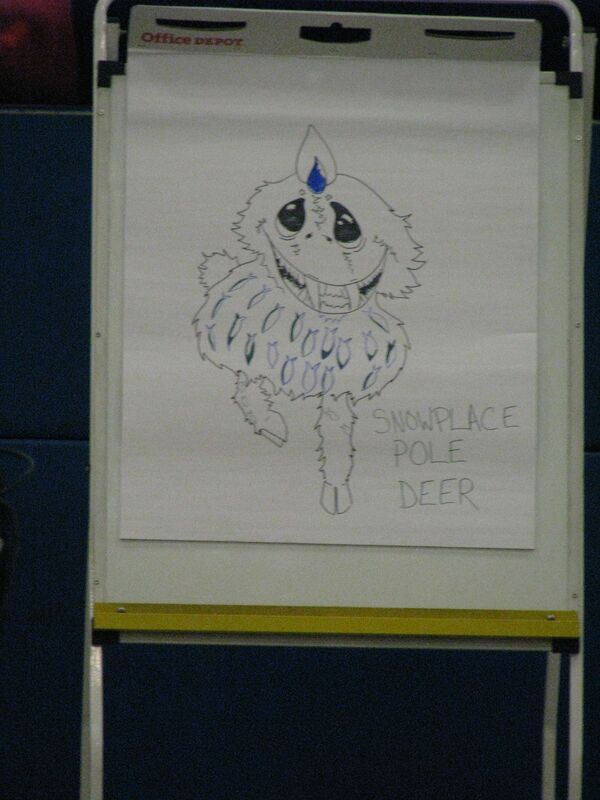 Jackson posed questions to the audience while Maggie drew the creature they designed, the Snowplace Pole Deer. 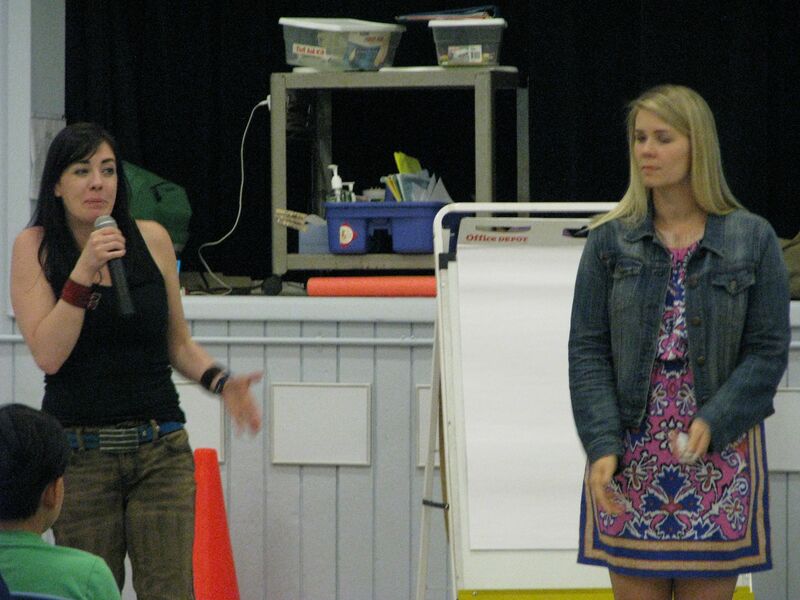 Their goal was to inspire kids to develop their interests because you never know where they will lead. Jackson and Maggie nth told kids that, through writing, they are able to pursue interests they’ve had since childhood, just not in the way they imagined they would when they were 10 or 11 years old. And I think that is a powerful message. 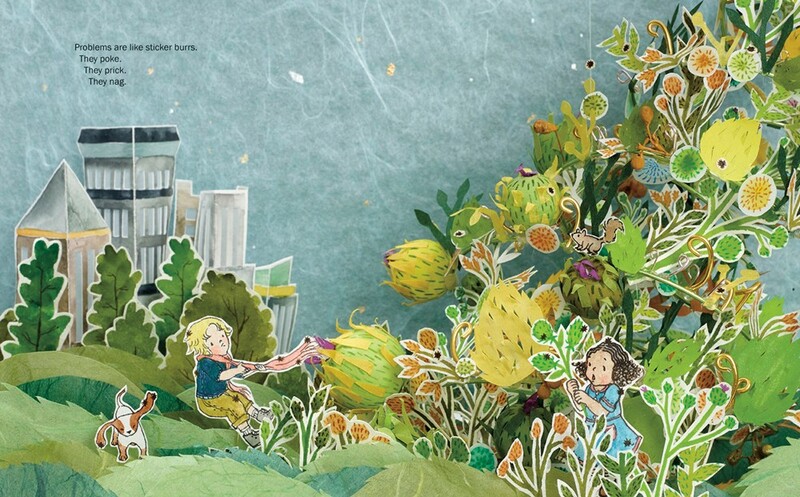 I am always on the lookout for picture books that connect, however tenuously, to what we are doing in class. Today’s two books are all about imagination, inspiration and creativity, which connects to the Invention Convention we are working on. 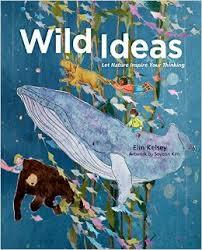 Wild Ideas: Let Nature Inspire Your Thinking is written by Elin Kelsey and illustrated by Soyeon Kim. 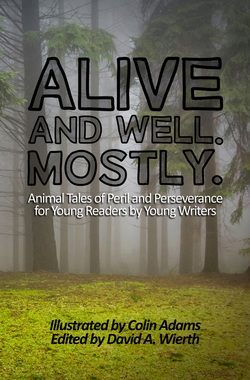 It encourages young readers to observe nature and think about how animals face their problems and use their imagination to solve the problems. The diorama like artwork here is spectacular, with each two page spread offering a source of inspiration in nature. 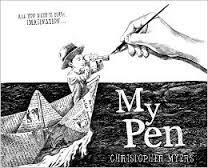 My Pen, written and illustrated by Christopher Myers, is an illustrated work of pure poetry. 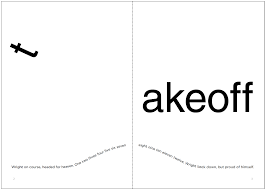 The text plants the seed of an idea as to what the narrator can do with his pen, but the shaded and detailed drawings in black ink on white background give wings to the text. This is a deep, contemplative book full of rich ideas and creativity. 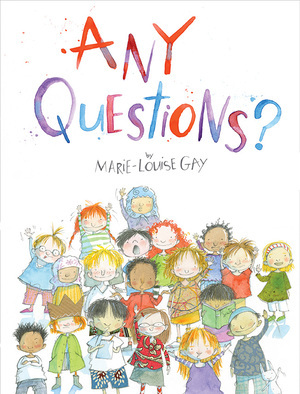 Any Questions by Mary-Louise Gay. I don’t have it yet, but here is the publisher’s description. I can hardly wait for it to arrive!